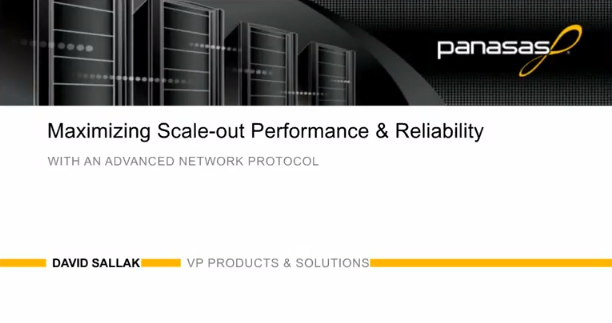 Learn how the right parallel data access protocol delivers higher performance than what can be achieved with industry standard protocols such as NFS and SMB. Avoid the load-balancing and congestion side-effects imposed by NFS and SMB and get ready for the exceptional performance of scale-out NAS with parallel data access. Aggregate workloads with multiple compute clients must be able to access data directly from where it resides on shared-access storage, instead of having data access managed by an intermediary filer head. This was accomplished with first-generation scale-out clustered storage. Making the next cost-effective performance leap requires multiple compute clients to access data and metadata across the entire cluster in parallel, rather than restrict client I/O to the single node connection of a scale-out storage cluster. When you dramatically increase the throughput performance of client applications by accessing all nodes of a scale-out cluster, you boost the productivity of all users, while also eliminating hot spots on the clustered storage. David Sallak, Vice President of Product Management and Industry Marketing at Panasas, will explain why the right network protocol is so important and how DirectFlow for Mac differs from legacy NFS protocols. Get ready to unleash the storage performance your business has been waiting for.